If you’ve been involved in a collision through no fault of your own, it’s important to seek expert legal advice as soon as possible, preferably from a lawyer who specialises in personal injury cases, who rides a motorcycle and has considerable experience in representing motorcyclists. Lead Motorcycle Lawyer and Motorcycle Law Scotland founder, Brenda Mitchell, explains why it is important to go to a specialist Lawyer of your own choosing. To find out how the Courts have taken a view on liability in certain different accident situations, we have looked at the decisions below. You can see the detail and review the decision on all of these cases by clicking on the category. 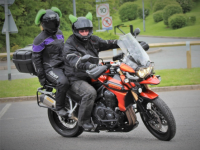 If you have been injured in a motorcycling accident on the roads of Scotland within the last three years through no fault of your own, you may be entitled to claim compensation for your loss, injury and damage. 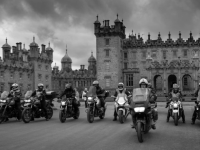 At Motorcycle Law Scotland, we can provide you with all the help you need following an accident. We will discuss your claim with you and provide answers to any questions you may have regarding responsibility for the accident and what you can claim for.